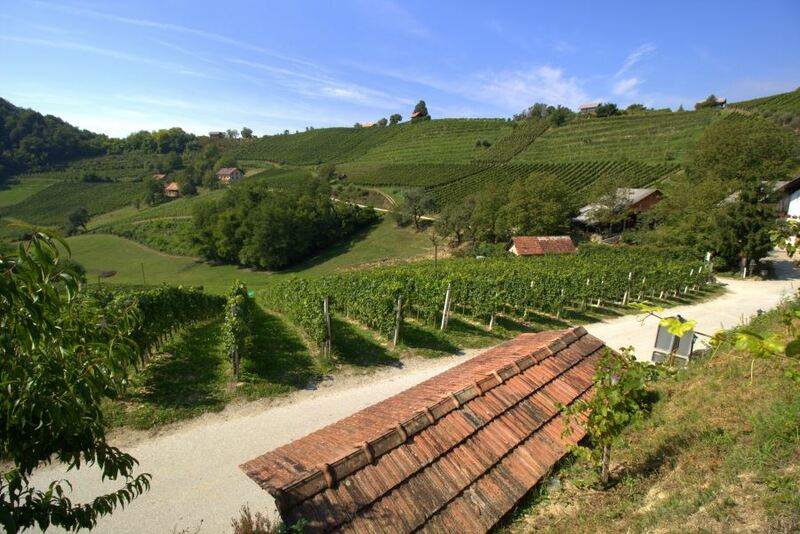 Repnice Wine Cellars are definitely Slovenia’s most awe-inspiring wine attractions which can be found in Bizeljsko region, south eastern part of Slovenia. 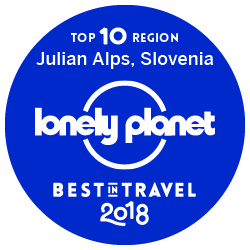 Under radar Bizeljsko region, area of hills, vineyards and one of the kindest climates in the country, was once lying on the coast of the ancient Pannonian Sea. When the waters withdrew 2 million years ago, large deposits of sandstone remained. Flint sand, a left-over reminder of the Panonic see, formed thick layers of ﬂint stone which is a crucial material that made the construction of the tunnels possible. 200 years ago local farmers started hand digging into the crystalline sandstone with basic tools (hack, shovel, wheelbarrow, scraper) and construct the tunnels underground. 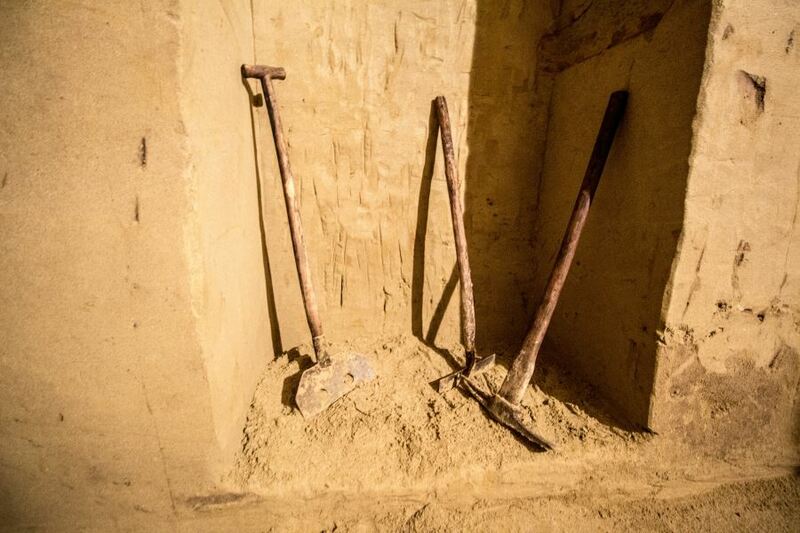 Excavated material was used for building houses. 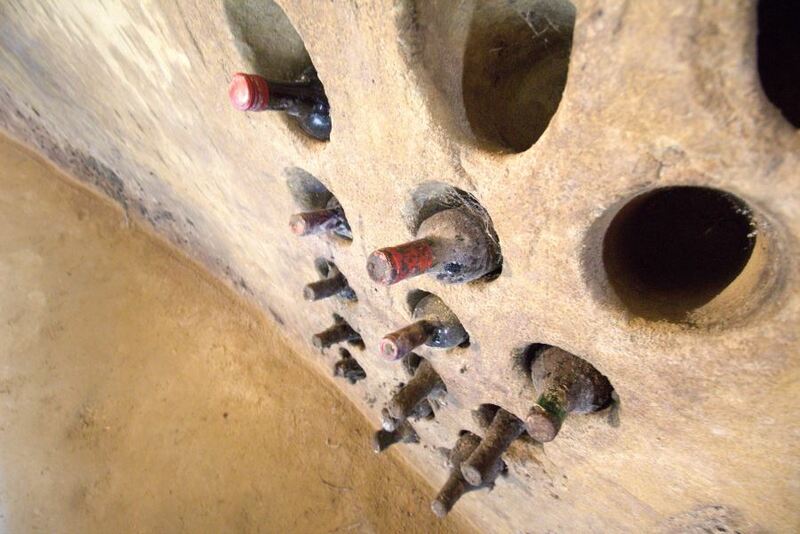 Underground caves were used for storing farm products (fruits, veggies, meat, liquers, etc. ), including turnips over the long winters. 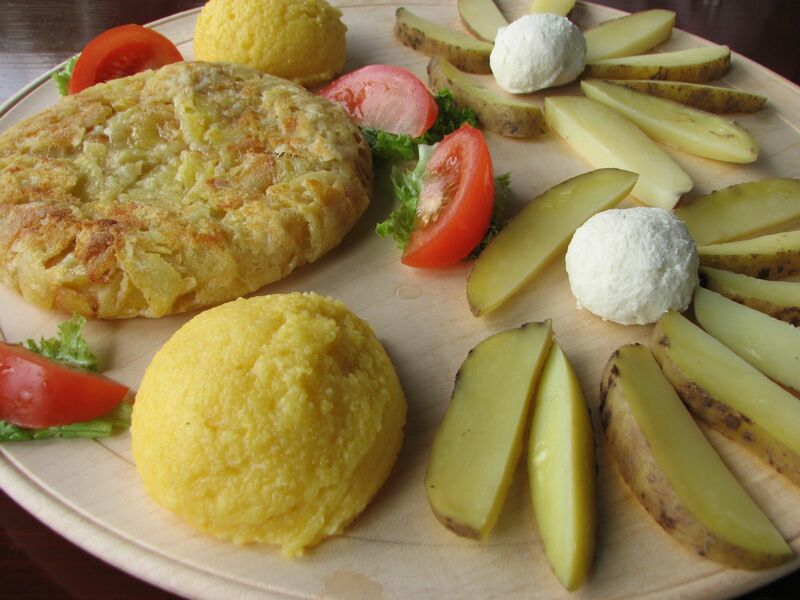 Turnip or repa in Slovene language was the main forage for livestock over the winter. Products that were stored in repnice kept the freshness untill the new harvesting. Back then refrigirators were not invented yet. 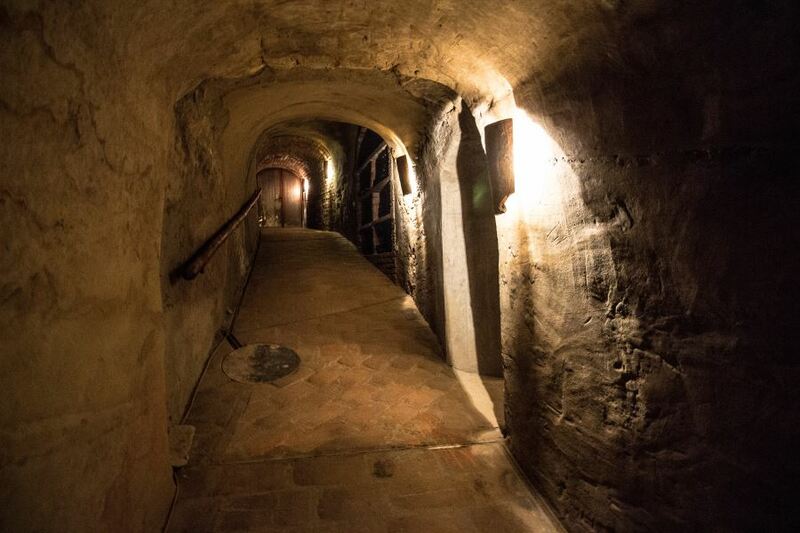 These underground cellars are known as repnice (turnip caves). 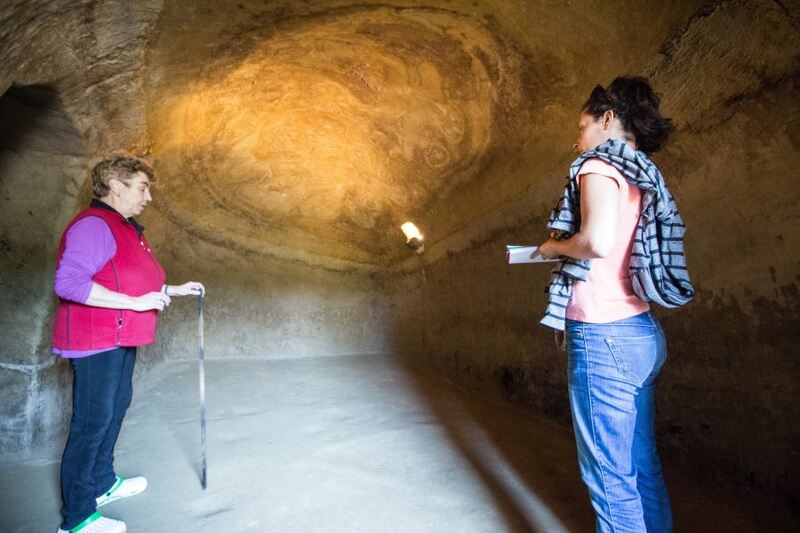 Repnice caves, the monuments of past, are nowadays used as wine cellars with amazing decorations on the sand ceilings and walls. You can spot a rabbit, kangaroo, bat, male face and female act. It is important that the ceiling is in the form of vault because of the load capacity. 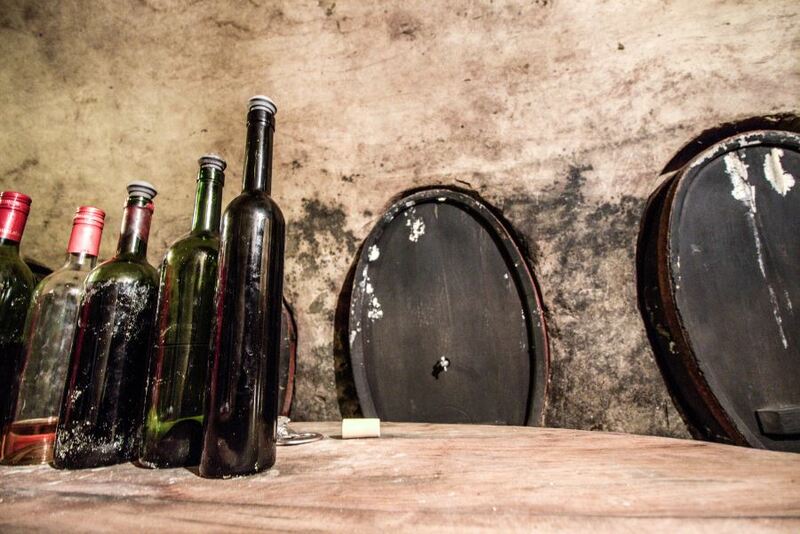 Many winemakers from Bizeljsko region discovered that the temperature and the humidity of repnice, unique form of local below-ground construction, are ideal for wine storage. They converted them into a place for macerating, storing and tasting excellent local wines. 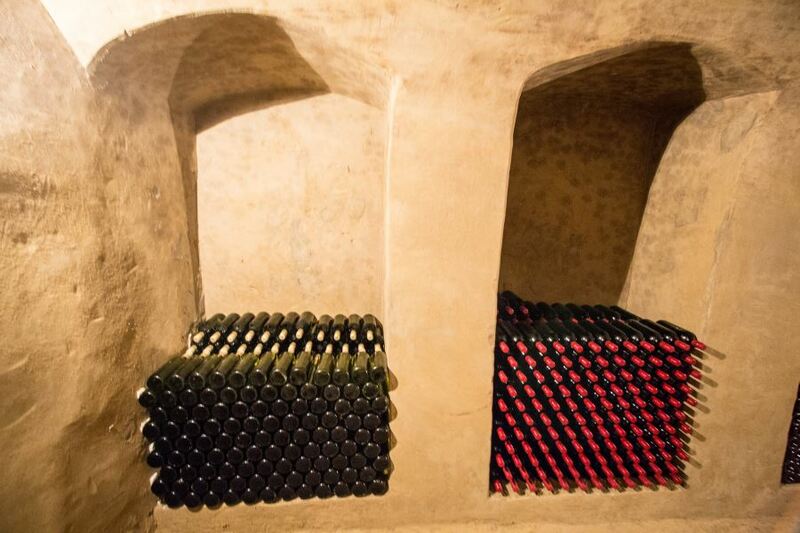 Around 200 turnip caves were “constructed” under the hillsides of Bizeljsko while today less than 100 remain while only 5 repnice wine cellars are open to the public. 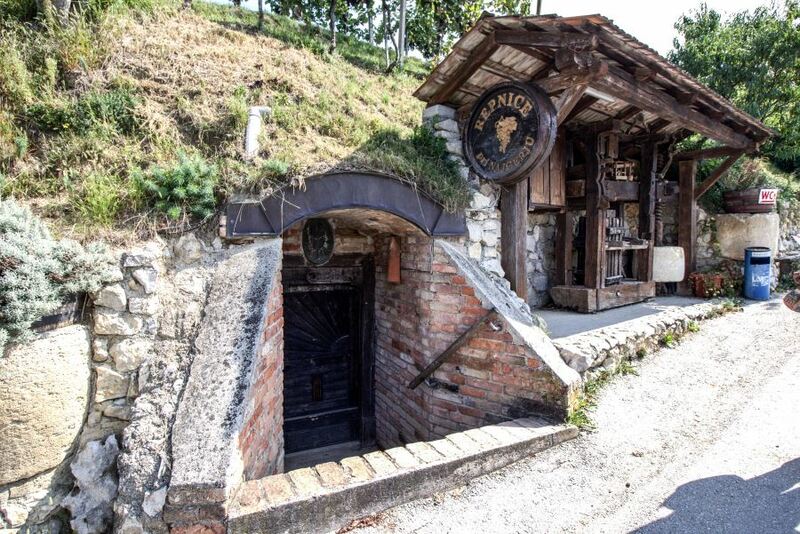 Experience repnice cellars, ethnology gem in Bizejsko region with at least 2 centuries long tradition which was revived in the last couple of decades. 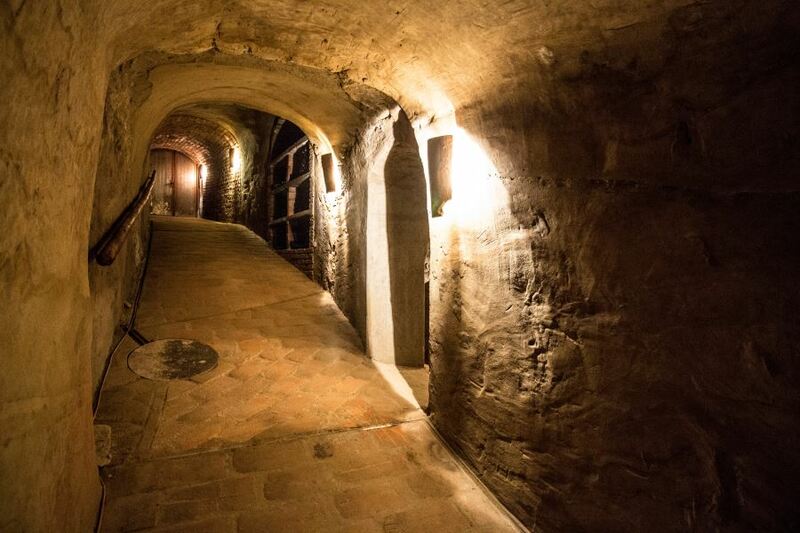 Interesting fact: the first touristy wine underground cellar opened to the visitors, the deepest and the mightiest repnica with 3 levels. Interesting fact: the Balon “repnica” cave served as a hideout during WW2 due to exceptional underground system of trenches. Interesting fact: the nicest repnica in Bizeljsko region due to its natural graffiti. Interesting fact: they still use repnica to store farm products.